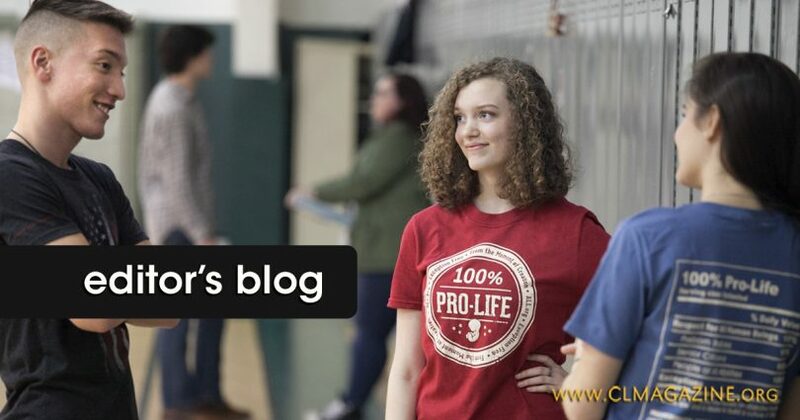 Since the 1990s, American Life league has been doing National Pro-Life T-Shirt Day (NPLTD) to encourage people, especially young people, to show others that they defend and fight for every human being’s life from creation to death. For one day, everybody participating wears their favorite pro-life t-shirts at work, at school, shopping, and so forth. This year’s NPLTD is quickly approaching! It will be on April 20, 2018. Definitely join us this year by sporting this year’s official – check out the design for this year. You can even wear your own favorite pro-life t-shirt on Friday, April 20th. This year’s official design has proven extremely popular. We sold out of most sizes at the March for Life 2018, but are now re-stocked. Get your orders in early so it can be shipped to you on time! Finally, you can find us on Facebook and Twitter. Make sure to follow us and spread the word about this important day.